WISH TO FILE A COMPLAINT? Community Policing is a philosophy based on forging a partnership between the police and the community, so that they can work together on solving problems of crime, fear of crime and disorder, thereby enhancing the overall quality of life in their neighborhoods. The Covington Police Department embraces a philosophy of Community Policing, an important policing/community partnership that has proven to prevent and reduce crime. This partnership is accomplished in a variety of ways, and is shared by the Crime Prevention Officer. The mission of Covington Police Criminal Investigative Services is to collect facts and evidence leading to the identification, arrest, and conviction of criminal offenders within the City of Covington. The criminal investigator is also tasked with the responsibility of correctly obtaining and handling information supplied by victims and witnesses after an offense is committed. Proper collection, documentation, preservation and submission of physical evidence to the forensic laboratory is also a major portion of the investigators duties. The investigator also organizes and presents facts to the Commonwealth Attorney and the Courts for successful prosecution of offenders. 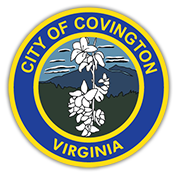 The Police Department is responsible for animal control within the city limits of Covington. The Covington Division of Police takes a collaborative approach to addressing animal complaints. While the animal control law enforcement officer’s primary role is to handle all calls for service concerning dogs at large, wild animals and other similar complainants. Each shift has an officer that can handle some basic animal control duties. The ACO receives training through the department and the Cardinal Criminal Justice Training Academy and departmental Field Training Officer's. The ACO has several other additional duties assigned to him such as traffic enforcement, directed patrols and parking enforcement in the downtown area. The ACO works a varied schedule based on call volume Monday through Friday and can be reached by calling the police department at 540-965-6333. During working hours, the ACO handles anywhere from 70-100 calls per month and picks up on average 20 stray cats and dogs per month. Animals captured by the ACO are taken to the Alleghany Humane Society. Dogs are held at the shelter for 10 days then placed up for adoption to the public. The shelter can be reached at (540) 862-2436. The main purpose for animal control is to ensure that citizens are safe from animals, domestic and wild, and that animals are safe and properly cared for. The City of Covington does have a leash law that requires that dogs must be restrained from running at large in public areas. Questions concerning animal control issues may be directed to the ACO at the police department during normal working hours at (540) 965-6333. Click on the link below and print out the Citizen Complaint Form. Stop by the Police Department and request the Citizen Complaint Form. After you complete the form, you can email to policeadministration@covington.va.us or you can drop it off to a supervisor at the police department. All complaints will be investigated and the Chief of Police will contact the complainant within 30 days with a disposition of the investigation. The Chief of Police may contact the complainant in person, over the phone, by letter or by email. Serving the public as a Police Officer can often be a thankless job. At the Covington Division of Police we know our officers go above and beyond on many occasions. If you have a positive encounter with a member of the department please download the form below and fill it out. It can be scanned and emailed to policeadminstration@covington.va.us, or dropped off at the police department.